Tackle any surface with the Sprayway Glass Cleaner. 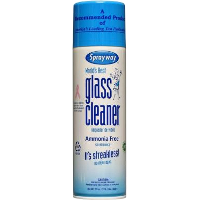 The heavy-duty foam cleans glass, windows, mirrors, tile, chrome and other hard surfaces. Guaranteed to not leave film.